Why do we need manual wrapping? The script gen_java.py can turn only a few c++ declarations to native java calls. Consider a C++ header file containing some functions, enums and operator declarations. Functions follow regex semantics, so they can be turned to Java functions. Enums can be turned to public static final int or something. But java doesn't support operators for custom classes. A possible workaround is to identify operator declarations for a class and replace them by manually written Java snippets. An alternative is to ignore the whole class while parsing and manually wrap it. Its a good choice if that class belongs to core of your tech stack(like Mat to opencv) and supports host of operators. Why can't matrices or images support generic data types? 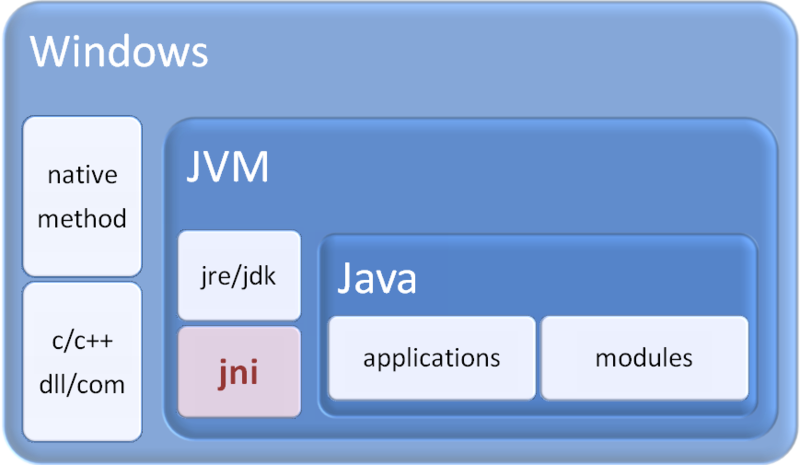 We're dealing with JNI, not just Java. Java can support generics, but there are very poor workarounds by which JNI can interpret them. Take opencv_java module as reference: they suport a host of Mat data types(MatofByte, MatofFloat, etc). And generating such classes ain't difficult. All you need is a single loop iterating over supported data types - byte, int, float, double, etc. What problems does wrapping GUI presents? GUI is a totally different deal for C++ and Java. I can't make a call to a Qt console or window via JNI, it always gives some threading error. Java Swing is an alternative for simple GUI - and I think I need to adapt a few classes in visp_gui module in order to support Swing integration. But I don't think its worth the effort. Since mostly android developers will be using visp_java module, it'll be better adapt GUI for android(using ImageView etc). I've created a fewdemo Eclipse projects showing sample class usage. Since the automatic building ain't working, you'll need to refer to this repo for generating the java module manually(with limited features). Just hit the run.sh and follow the prompts. That'll create two files - visp_java320.jar and libvisp_java320.so - which you'll need to include in the Eclipse demo's(like opencv does here). I'll edit build scripts to incorporate building CTests. I should've caught that issue early on. I'll try to do a git-bisect with a custom test script and see where the ctests fail. I think its better to add test functions now. Need to check whether the same parser can parse test functions in respective modules. Else might need to adapt gen_java.py script(or create a separate script for simplicity).